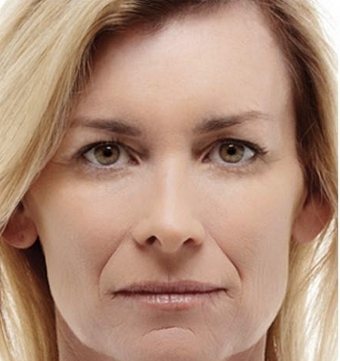 Radiesse® is a non-hyaluronic acid dermal filler that was approved by the FDA in 2006 for correction of moderate to severe wrinkles and facial lines. It is also an excellent filler for restoration of volume loss in the midface. Radiesse injections work very well for rejuvenating the back of the hands which improves the appearance of bony and tendinous hands. Once injected, Radiesse acts as a scaffold under the skin, and naturally stimulates the body to form collagen. Radiesse is made from calcium based microspheres suspended in a water based gel. The results of Radiesse treatment can be seen immediately upon injection and are long lasting. 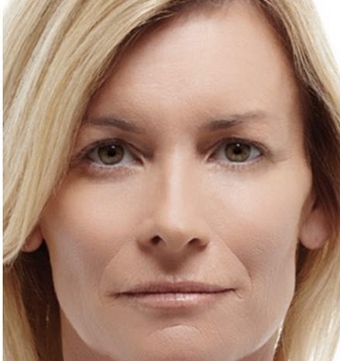 Most patients noted that the effect of Radiesse was still present a year later. At Clinique Esthetique, Radiesse injections are given after mixing a specified amount of lidocaine for pain relief. Topical anesthetic is also used for an even more comfortable experience. Radiesse injection treatment is performed only by a Board certified physician, after a detailed consultation.